For Romaeuropa Festival: DIGITALIVE18, Elisa Giardina Papa has presented Labor of Sleep – Have you been able to change your habits ? ?, online video performance, previously realised for the «Sunrise/Sunset» project at the Whitney Museum of American Art, a series of Internet Art commissions, curated by Christiane Paul. 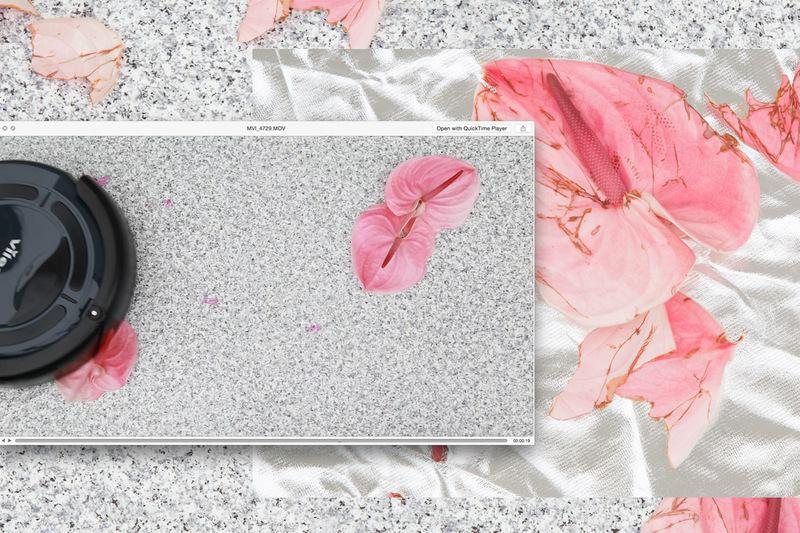 Giardina Papa, an Italian artist, now based in the United States, employs technological, digital and web’s means to reflect on the multiple connections between the dominant systems of contemporary society. Her work explores the processes that shape identity in order to develop a discourse that revolves around gender, sexuality and labour. Labor of Sleep – Have you been able to change your habits ?? consists of a series of videos ironically imitating self improvement applications. «Breath in. Breath out» – a monotonous voice lulls characters or particular figures which, as if hypnotised, mechanically follow the instructions given out by the pseudo-application. 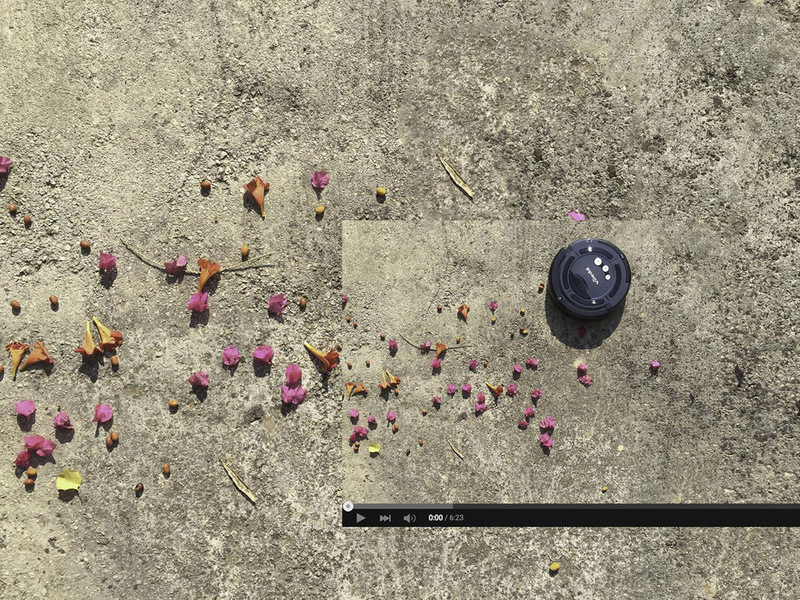 Recovering elements from zen practice in an ironic way, the videos use the sound of water and wind as background music.Hair, seashells, flowers, a leg… objects are positioned in an aseptic and sterile environment serving as the setting for the measurement of sleep. «Have you been able to change your habits?» – adds the voice. The digital programme wants to influence everyday behaviour and rhythms/rituals; it requires users to provide feedback in order to obtain a score: «Your efficiency is 53% lower than average». Contradictory instructions such as «Allow yourself to be naturally still. Staystill» hint at the absurdity of the physical and moral support provided by a technology that is placed inside an extensive network of non-human interference in the organic world. 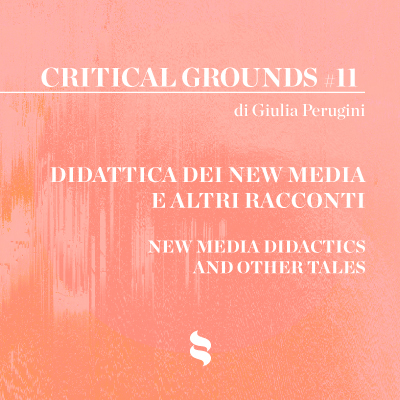 Elisa Giardina Papa’s work exposes the controlling and monitoring dynamics of digital systems. In order to adapt to the hectic rhythms of everyday life, people increasingly turn to virtual coaches who redefine the body’s natural tasks and reestablish the concept of time. Manipulating the physiology of sleep feeds data banks with information about people’s bodies, their habits, and receptiveness to such regulation. Fed by this data, neoliberal systems of power cross the boundary separating work from rest because a sleeping person now passively labours to profit the system. Labor of Sleep marked a daily cycle of vigil/sleep during DIGITALIVE. Every day, the Romaeuropa Festival’s website became the virtual stage for this series of video performances, that accompanied the entire duration of the Festival, at sunrise and at sunset time. 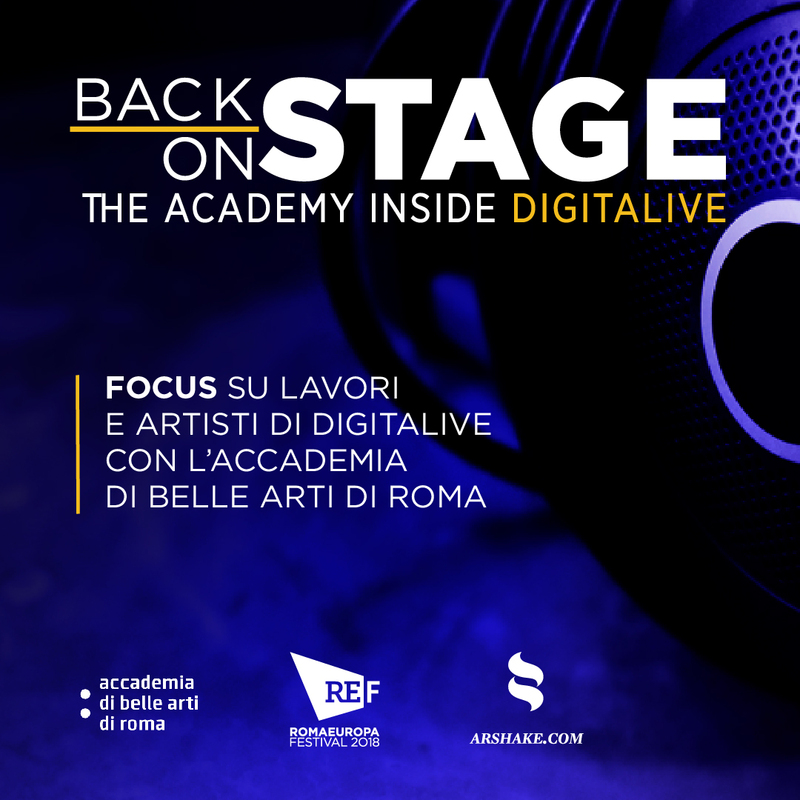 The article is part of the special section that Arshake dedicates to BACKSTAGE / ONSTAGE, the project that took 24 of the best students from the Rome Fine Arts Academy backstage during DIGITALIVE – a new format dedicated to digital art, curated by Federica Patti and part of the Romaeuropa Festival. Moving from backstage to front stage, in a Festival edition completely dedicated to performance and live events, students were involved in all the preparatory stages, from which they obtained material to be reassembled for this editorial project. The articles, published weekly, build a memory of the works and artists present at the event, capturing highlights from the ‘energetic’ performance works and also their protagonists. The content structure has been inspired by Antoni Muntadas’ Methodology of The Project, as suggested by Valeriana Berchicci. images: Elisa Giardina Papa, «Labor of Sleep – Have you been able to change your habits ? ?», still from video, Sunrise/Sunset Commissions, Whitney Museum of American Art.